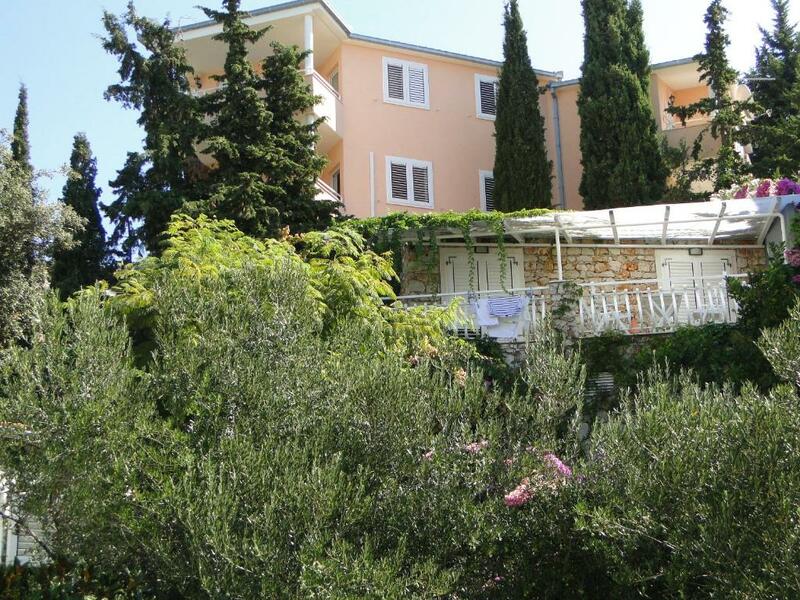 Location is perfect: right on the promenade, 20 minutes walk to the center! Very friendly hosts, relaxed homey atmosphere, private beach where people leave their things overnight. Very clean all round. Set in beautiful vegetation around the buildings. Bigger town beaches are 15 minutes walk along the coast. Very close to the beach. City centre is within walking distance. Great location for a getaway from the noise. 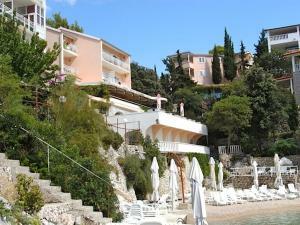 The apartment is located right next to a shared beach with a couple other apartments nearby. The view is wonderful and the hosts are very nice and friendly. Feels like being in a little magical wonderland. Krásné místo. Z apartmánu nádherný výhled na moře. Pláž menší, ale v září už poloprázdná, takže super. Moře bez chyby, ani jsme nevyužili bazén. Promenáda do města příjemná. Pokud bude v budoucnu upravená jako část u města, tak to bude bez chyby. Majitelé (personál) vstřícní a milí. Widok z okna i tarasu oraz super mili gospodarze. Polecam tęż kameralność tego miejsca i miłą plażę w zatoczce. Dojście do centrum Primosten - 30 min spacerkiem deptakiem na brzegiem morza lub 5 min. samochodem znakomitą szosą. Es war sehr familiär. Die Gastgeber waren sehr nett und das Frühstück lecker. In 15-20 Minuten Ist man nach Primosten gelaufen, der Weg ist teilweise gut. Nächstes Jahr soll die Promenade allerdings fertig sein. Die kleine Bucht ist wunderschön. Die Lage war Top. Wunderschöner Ausblick aufs Meer.Eine herrliche Badebucht. Schöner Abendspaziergang nach dem Essen in Primosten zurück zur Unterkunft. Un appartement bien situé, avec sa piscine et une plage au pied du complexe. Agréable pied à terre pour visiter Primosten, Trogir, Sibinik. L'aménagement permet de se faire à manger grâce au coin cuisine et le minimum (liquide vaisselle, sel/poivre...) est dispo. 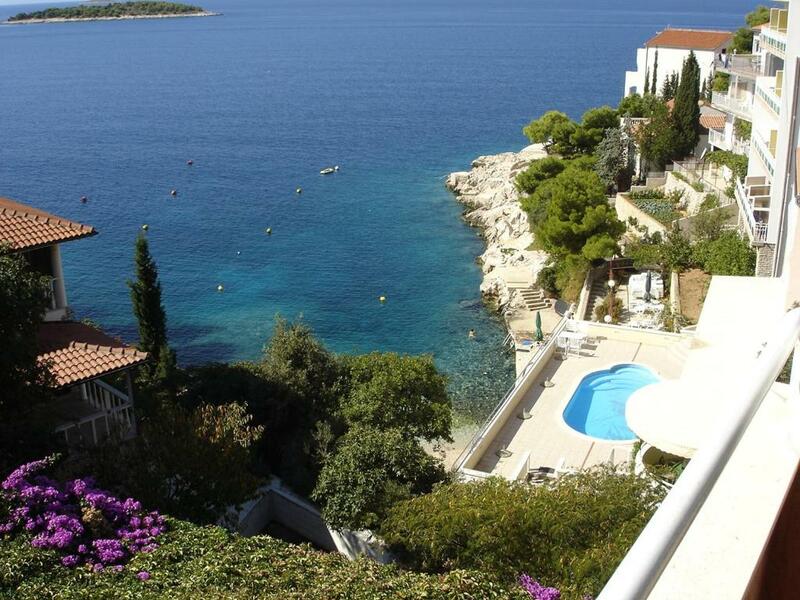 Lock in a great price for Apartmani Tepli Bok – rated 8.9 by recent guests! Apartmani Tepli Bok This rating is a reflection of how the property compares to the industry standard when it comes to price, facilities and services available. It's based on a self-evaluation by the property. Use this rating to help choose your stay! One of our best sellers in Primošten! 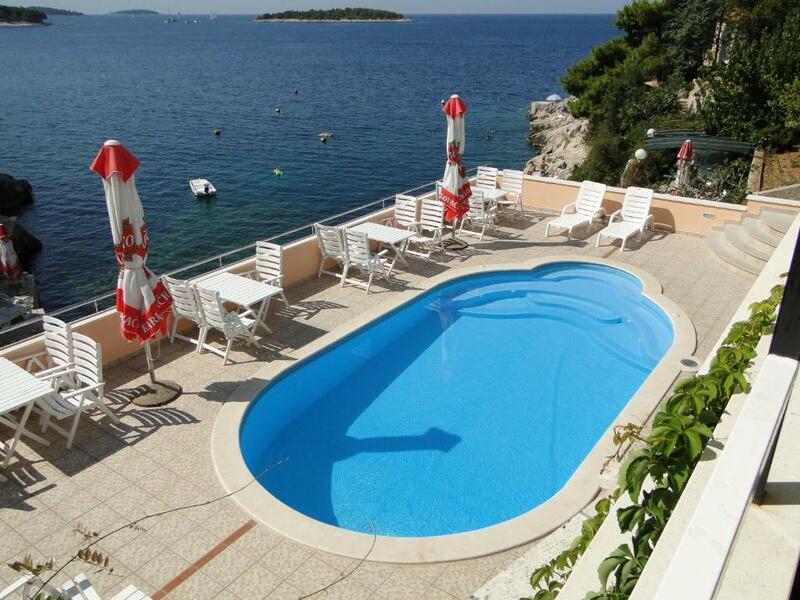 Located right by the seafront and offering a private outdoor pool that overlooks the sea, Apartmani Tepli Bok is located 0.9 mi from the center of Primošten via a promenade by the sea. 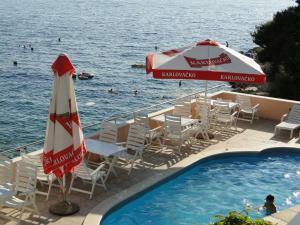 The property also offers free Wi-Fi and free private parking. Each accommodations unit offers air-conditioning, satellite TV and a private bathroom with a shower. Each unit offers a furnished balcony that overlooks the sea. The private pool is surrounded by sun loungers and parasols and offers unique view of the sea. There are also stairs leading to the pebbly beach nearby. A shared covered terrace is also at guests’ disposal. An à-la-carte restaurant can be found 1,650 feet away, while numerous other restaurants, bars and shops can be found 0.6 mi away. There is also a grocery shop 1,650 feet away. A diving center is 0.6 mi away. Various other sports facilities, such as tennis courts, mini golf and wind surfing can be found 0.9 mi away. Buses stop 0.9 mi from the property, while the Main Bus Station and Ferry Port can be found 19 mi away. Split Airport is 22 mi from the property. When would you like to stay at Apartmani Tepli Bok? Air-conditioned apartment offering a seating area, a wardrobe and satellite TV. The kitchenette offers a dining area with the private bathroom provides a shower. 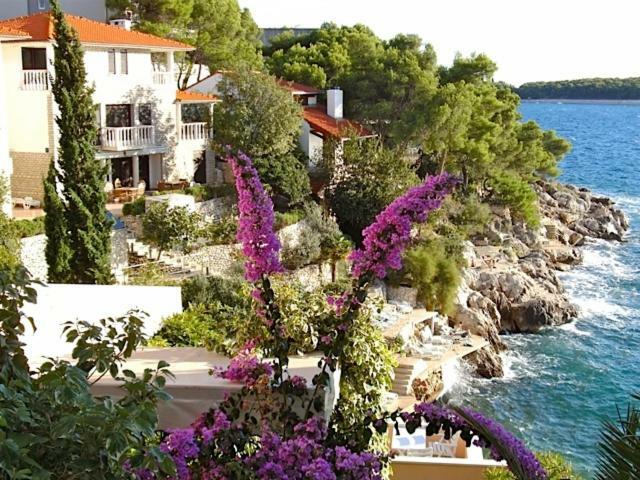 Furnished balcony offers a view of the sea. House Rules Apartmani Tepli Bok takes special requests – add in the next step! Please inform Apartmani Tepli Bok of your expected arrival time in advance. You can use the Special Requests box when booking, or contact the property directly using the contact details in your confirmation. Lack of micro and mosquito net. The apartment could have had some more hangers on the walls, even though the cloth line outside was very useful. Nevycistena klimarizacia, rybaci smrad na ubytovani po celu dobu pobytu. Dirty air condition, unusable. Bad fish smell during whole stay. Pekne, nove ubytovanie. Nice, new accommodation.